Do not be so busy policing the world and forget to police your spirits. Do not let down your guard being concerned about world happenings and events that you do not start your day with prayer. God has not turned over the affairs of earth to your administration. Your first goal is you—that if the trumpet sounds today you will be upward moving and the world will still be here. Be a good citizen on earth but, be a better citizen looking to get into Heaven. HI Quotes to brighten your way and lighten your day! Monday, July 14, 2014 at 5:20 p.m., The Lord Jesus Christ gave His servant a prophetic word to tell. Jesus attaches urgency to this Word. Monday, July 14, 2014 at 6:00 p.m., The Lord Jesus Christ reiterated the Prophetic Word. REMINDER: Display the Cross somewhere in your home. If you don’t have one, go to the store and buy one (or make one) and place it anywhere in your home. All we can do is to obey Jesus. The Lord alone knows everything. I never add my own piece to any prophetic messages Jesus gives me; I deliver it like HE instructs. But, this time, may I add a personal plea to you Christians: It is time to be vigilant in your walk. Announce which side you are on—Jesus Side. Own the Cross and all it represents. 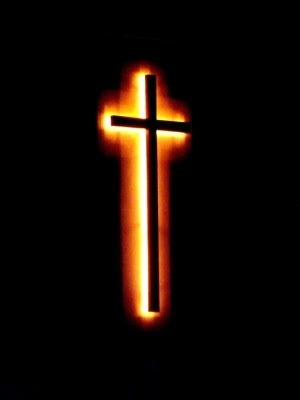 The Cross is your badge as a follower of Jesus Christ. Put your identifier in your home. Just in case…my friend. Blessings, today…Enjoy the sunshine. God made it for you! Talk less. Pray more. The less time you spend talking much the more time you could spend praying much. When you've made the point, leave it be...let it go. Take it easy with the discourses. You are only as effective as your manner of approach. Regardless, good or bad, we are one another's keepers. Let's pray more that God will enlighten people to make good judgments, with clarity of mind and purpose. Even If you believe you have the right to chastise repeatedly, don't lose your compassion. Remember, but for the grace of God you could do even worse. Love and joy! Do It For Christ Ministries would like to get the prayer cards in the hands of as many people. A full page sheet contains four (4) cards which may be reproduced for distribution to congregations and local communities. Spread the word. Let’s get America praying more. Email request to: outreach@doitforchrist.org. Prayer is the answer our country needs. Prayer has the ability to combat the many crisis that are arising across the world. Let's get America praying more. The world often looks to the United States for leadership, during good times and bad. Prayer can equip America as it leads the world. Today, from 12:00 p.m. - 6:00 p.m. Refrain from repeating or relaying negative information. No gossiping, no spreading false news, and "they say". No complaining. No swearing (cussing). No using four-letter descriptive words and sentences. No malice. No repeating someone’s confidential business, even if pretending to be “asking for prayer for the person.” During the fasting period only speak kindness and speak kindly. Use the time to bleach your character. Deep clean, sanitize and deodorize unpleasant smells from your life. Adopt this Scripture passage to help you. Keep asking Jesus to help you be a better you that your life may bring more glory to The Lord’s name. Every morning I spend at least one hour reading headline news in Africa, with particular emphasis on Liberia and West Africa. Much of that period is spent digesting news from my native country, Liberia. Ninety-five percent of the time I am reduced to helplessness, sadness, and some anger, because I can’t have my wish. My wish is that this beautiful country would be alright—life would become normal, a developed country—the people would be happy, healthy, and prosperous—that we would become more serious about God. Every day for the one hour plus I spend reading the news my heart can be burning with melancholy and hurt. Some days just as I start to smile, the small good news is quickly strangled by the many large, big bad news. From then on I go back into prayer. My friend, we have many needs in Liberia. But, what we need most is God and Prayer and seriousness about Jesus Christ. Liberians, take this or leave it. I come to tell you that the Liberia we are seeing, hearing about, and reading off, is NOT what God has in store for that country. Something has to give. As a dedicated woman of Liberian heritage, Christian and servant of the Living God, I know for a fact that God has great things for that country. Can’t you tell? Ponder this. Liberia and Liberian people are not the last on God’s agenda. Let us stop making it appear like it is. Whenever a national crisis looms Liberians quickly band together. When calamity hits the land Liberians gather and become first rate Christians. Fasting and Praying! All over the country and worldwide where diaspora Liberians are, talk of prayer dominates our agenda. Falling facedown before God, repeating deep and profound Christian phrases, such as: “My people your let’s pray oh…; God will help us…; Jesus never fail…; Lord, have mercy on us oh; God will see us through…; …If my people who are called by my name shall humble themselves… hear from heaven…heal their land…. ; All I know God’s in control…. ;”—and all the religious phrases and Bible quotations of Christianity. When disaster threatens Liberians become passionate about being Christians, and you become very God fearing! As if that is enough for God. Yes, indeed, God is good. God exacts payment of his people. This is the same God who would only accept “Blood” as punishment for sin. He gave up His one and only begotten son, Jesus Christ—God the Son—to come to earth and be crucified on a cross, bleed (shed His blood) and die, be buried in the earth—as the only acceptable sacrifice for forgiveness of mankind sin. This Son that was sent is God Himself who took on human flesh. God made a manifestation of He, Almighty God, in the form of the creature man. That is how serious Almighty God is about redemption. God is not flattered by your devotion during calamity. God is impressed by your redemption from sin and your preparedness to spend eternity with Him. The Lord will take you back regardless of what you have done, or who you are. You have to do it HIS WAY. He is a covenant keeping God. You must be part of the covenant with HIM. Unless it is done God’s way we will always be reminded of who God is. We will know time after time how serious God is about redemption. Omnipotent God! Doing things His Way. Always. "Whenever you come running to me, I hear you. When you are well you turn your backs to me. I want to live with you. You reject me. I choose to make you my sanctuary amidst the dwellings of other gods. You refuse to be my sanctuary. You chose the dwellings of other gods. I have asked you over and over to honor me. You invite and worship pagan gods. I give you beauty. You give me horror. I do not bring evil on my children. When you leave yourself open and separated from me you become better targets for evil trespasses. Evil cohabits in your midst when you rebuff my presence nationally. I am God, who honors obedience. Not your sacrifice. The sacrifice necessary for you has already been made. Were you not in distress would you show me this much glory?" My friend, the fact of the matter is God is still in control. While we make this doubling effort to call on Jesus during these times of distress, let every Liberian who has chosen Almighty God as Lord and Savior worship and praise the Lord. Do not be tempted to blame God for distress. Repent. Make a determination that when crisis has passed, YOU WILL LIVE FOR ALMIGHTY GOD. You would do things differently. Liberia, you will turn your nation, seriously, into a house of God. Praise and worship The Lord through it all. Therein is the DELIVERANCE. Today is the day you glorify God all day. God the Son—Captain of the Army of the Living God—His name is Jesus Christ. From His perch as Commander-in-Chief of the Army of the Living God, and SAVIOR of the world Jesus Christ is ready for battle. I did say Battle--The Lord will fight for you! Turn over your sins, complaints, and all charges against the enemy. Watch Jesus Christ crush the serpent’s head. Go on rejoicing. This world has nothing lasting on you. Even Hell trembles when you appear to be falling on your knees. And when you do get on your knees face down before that Majestic Throne perched above Heaven and Earth with your two hands raised in praise and honor to God’s glory, hell freezes over. Go ahead, my friend, this world has got nothing, absolutely nothing, on you. You are The Lord’s property! Worship the Living God. Give God some praise right now!!! Glory HALLELUJAH. NO, my friend, God is not silent. God is not surprised. God orchestrates ALL the events of heaven and earth. Just like He lets the sun shine and the rain fall on all of creation. The Lord is not bewildered, nor is God without options. He is creator of everything on heaven and earth. He will rise up and protect all His creation. In His Time! You’d better not stop praying. Pray hard. Pray more. CALL on the name of the Lord. I AM will show up just in time. I AM will do it His way. There is still no match for that matchless name Jesus. Let us keep praying. The darker it gets the more light we need. Light is Jesus Christ. Miracle: A surprising and welcome event not explicable by natural or scientific laws; considered to be the work of a divine agency. In my opinion, simply stated, a miracle is a happening which can only be explained as being the actions of a power more potent than human ability. It means you have no control over the miracle that is needed in your life today. Your miracle can happen. Ask Almighty God for a miracle. Today. "Only take care, and keep your soul diligently, lest you forget the things that your eyes have seen, and lest they depart from your heart all the days of your life. Make them known to your children and your children's children--how on the day that you stood before The Lord your God at Horeb, The Lord said to me, 'Gather the people to me, that I may let them hear my words, so that they may learn to fear me all the days that they live on the earth, and that they may teach their children so.'" (Deuteronomy 4:9-10 ESV). I write to ask you to Simplify the Africa Summit. Most African leaders know a good talk but seldom do they implement what is right. Tell African leaders to prioritize the basic needs of their people. Healthcare, sanitation, and basic infrastructure. Tell them to make education available for all and not a privilege for few. Tell them to enforce the laws of their land and implement policies that protect, enrich, and elevate the lives of their people. Tell them to preserve human dignity. Most African leaders have two faces. The face they show at foreign Summits and international events. The face their people endure at home. Young people on the continent are fighting to lift it to a different level. It is the leaders who are holding back progress on the African continent. A successful summit is when African leaders learn to invest the country’s riches in the well being of its poor and desolate people. The richest continent in the world, in terms of natural resources, is home to the poorest and most abandoned citizens in the world, yet, produces some of the richest heads of state and public servants in the world. There is a problem when the leader of a country has more money in their personal bank account than the entire nation has in its. Most African leaders assumed power after entering politics broke, penniless, and “compassionate” about people and “passionate” for change. These so-called agents for change quickly strangle their respective nations. President Obama, please have a tough heart-to-heart talk with those leaders convening in Washington D.C., for the Africa Summit. Do not be impressed or swayed by the verbosity and grandiose. Have the tough chat. Call the bluff. People’s lives are at stake. Millions are dying needlessly. Africa can help itself. Africa is hurting because of leaders that have no regard for their people. Please point this out to the assembly this week. Let them know that you and the world are watching to hold them accountable. God bless the efforts of the Africa Summit 2014. May God bless President Obama and the United States for organizing and footing this event. As a native-African who is blessed to be a naturalized citizen of the United States of America, I wish to see good come of this meeting. POWER AND MIGHT BE UNTO OUR GOD, FOREVER AND EVER. AMEN. The God of Heaven and earth is indeed a mighty God! In the midst of dismay and even when facing death, hold fast to what you know to be true. As a Christian you know your God is a mighty deliverer! A present-day Christian was starring death in the face because he chose to sacrifice for others, and this is how he summarized the entire thing! WOW. My friend, that is what it is about, when you know Jesus. You may get tried and tested, but you hold on to the faith. And Jesus does what only He, God, alone can do. Let Dr. Brantly’s declaration of faith give us hope and healing as we forge through difficulties, and difficult times of pain, crisis, and death. God is still God. Still Able. Still sufficient for His people. El Shaddai! GOD. Dr. Kent Brantly has arrived back to his home, the USA. I pause to recognize the good doctor and thank God for his safety, and the chance He now has to receive excellent medical care. It is worthy of recognition because, in his healthy and wholesome days Dr. Brantly remembered others. He remained behind in Liberia, amidst a crisis, to provide better medical care for sick and ill-stricken strangers, Liberians. When he could have easily returned to his country along with his young family. He desired and wanted to help others! The good doctor trusted that His God is going to deliver him. Christians, we are called to love your neighbor as yourself. Let’s get praying that God will continue to bring healing and relief to Dr. Brantly, Mrs. Writbol, and all the victims of this Ebola crisis, and the many other disasters. Let’s all pray that the Lord would have mercy on all of us, the entire world. That same God is able to deliver all those who place their trust in the resurrected Jesus Christ who died on the Cross. My friend, it may sound like a broken record, but at the end of the day this fact is true—IT IS ABOUT YOUR SALVATION. Start this day by having a personal, private time with The Lord. Sing a chorus. Read a passage of Scripture. Read a Psalm of praise. Get down on your knees and pray to God. End your prayer with saying the The Lord’s Prayer. My friend, do not get all involved with unfolding events that you neglect to give God His time. Do not get so involved in happenings that you forget to ask forgiveness of your sins. Do not become so busy that you cannot say “Thank You” to Almighty God. God is still sovereign—meaning, as much as you think you know; as much as you think you could decipher reason, from whatever information you may have gathered; you know nothing, really! Stay in the face of God. Never let circumstances take precedent over getting your spiritual house in order. Today could very well be the day Jesus Christ returns! Only one thing will matter at that point. Do you know JESUS? 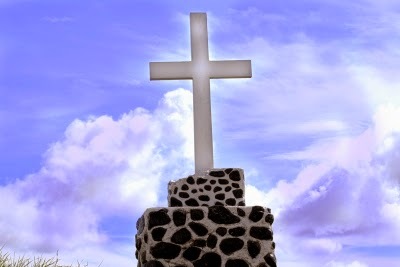 Have you accepted Salvation by the Blood of Jesus Christ shed on The Cross at Calvary? Are you living your life for the glory of Almighty God the Father? Is God the Holy Spirit active in your life? Have you traded your sin-sick soul for the Righteousness of God the Son—Jesus Christ? Have you denounced a lifestyle of sin—do you say NO to sinful living and all things abominable in the eyes of God Almighty? Are you building up treasures in Heaven even as we scramble around looking for earthly treasures? Have you set your priority so that you are Heaven bound? My friend, If the trumpet sounded today…..Would you be up, riding the clouds, singing, “I Fly Away Oh Glory…I Fly Away with Jesus! My friend, that’s what is most important today. Right Now. Settle that matter first. Then, you may continue with your daily activities. “Oh Sinner, you’d better be ready, ready, ready; Oh Sinner, you’d better be ready, ready for the Judgment Day! Come see all the wicked people running away, running away, running away; Come see all the wicked people running away; running from the Judgment Day! Oh Sinner, you’d better be ready, ready, ready; Sinner, you’d better be ready, ready for the Judgment Day! Come see the unbelievers running away, running away, running away; Come see the unbelievers running away; Running from the Judgment Day! Come see all the witchcrafters running away, running away, running away; Come see all the witchcrafters running away; Running from the Judgment Day! Come see all the ???????????????? running away, running away, running away; Come see all the ???????????????? running away, running from THE JUDGEMENT DAY. Oh Sinner, you’d better be ready, ready, ready ... for the Judgment Day." People, you had better get ready. GET READY FOR THE JUDGEMENT DAY.